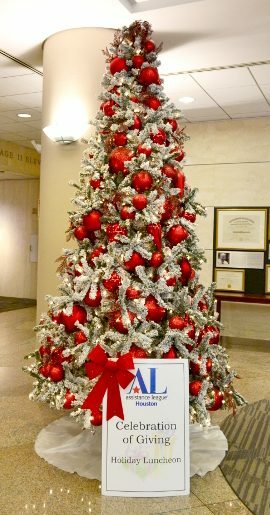 Assistance League Houston holds a holiday party every December at Texas Children’s Hospital to present gift cards for food, clothing and gifts to patients and their families. Families are sponosred by ALH members, local businesses, and individual donors. 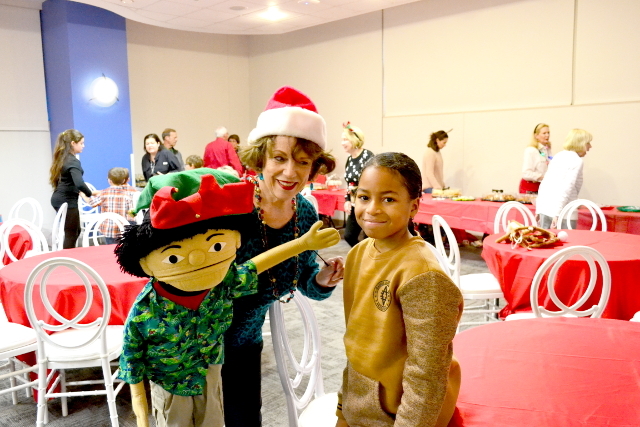 The Celebration of Giving event, hosted by Assistance League of Houston members each December, is the highlight of the year as much for our volunteers as the children and families we serve, and the 2017 event has proven to be no exception. The Celebration of Giving Event is behind us, but not forgotten. 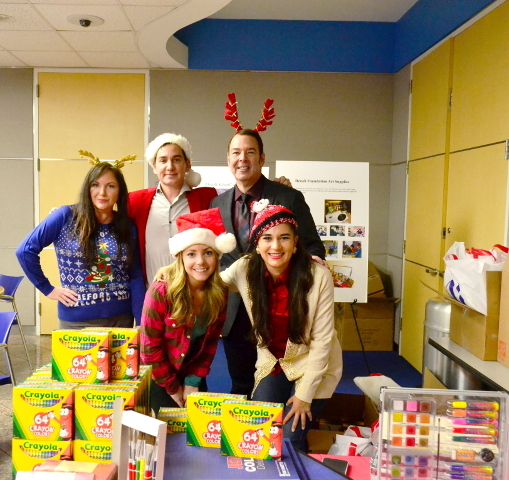 This year we sewed and stuffed 160+ stockings with hand held games, markers, books, socks, toothbrushes, gift cards, and much more, to give to patients and their siblings at Texas Children’s Hospital. Received donations allowed us to assist 41 families with $400 gift cards and the filled stockings. 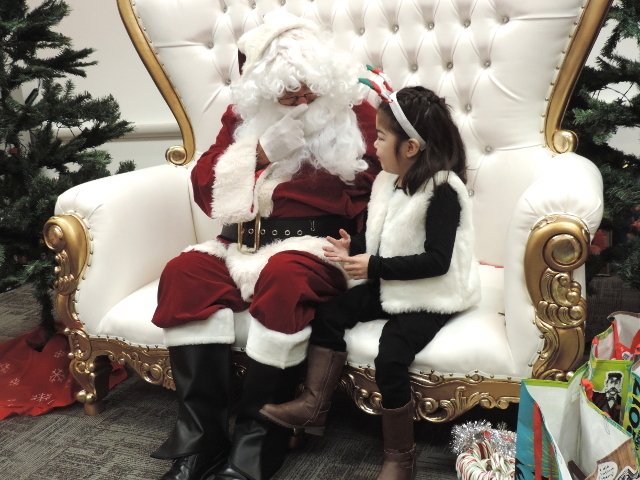 This year, the party at Texas Children’s Hospital took place on Wednesday, December 6, 2017, from 11:00 A.M. To 1:00 P.M. As always, many of our sponsors love to attend the party, for it just warms your heart to interact with the patients and their families. Volunteering began early in October, when the sewing circle at Christ Memorial Lutheran church asked if they could help us sew the 160 hand-made stockings that are filled and given to each patient, and all their siblings, on the day of the party. St. Luke’s United Methodist church came through as always with a large box of hand carved, wooden toys to help fill those stockings. Not to be outdone, Assistance League of Houston members had so much fun shopping for “fillings” and comparing their finds with friends. 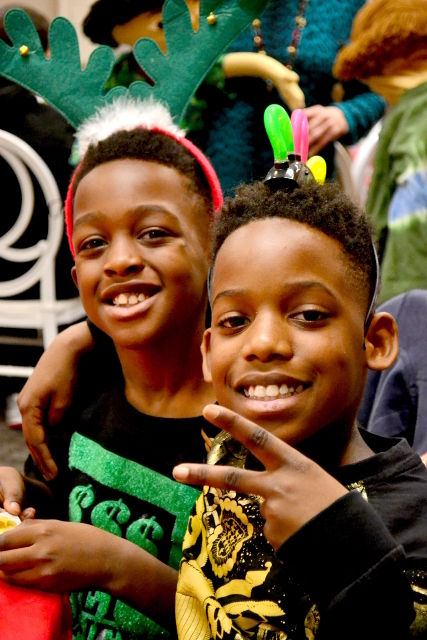 Then our members gathered at the chapter house to “stuff” those beautiful stockings with toy cars, hair accessories, socks, hats, gloves, puzzles, games, gift cards, candy, fruit, and so much more! 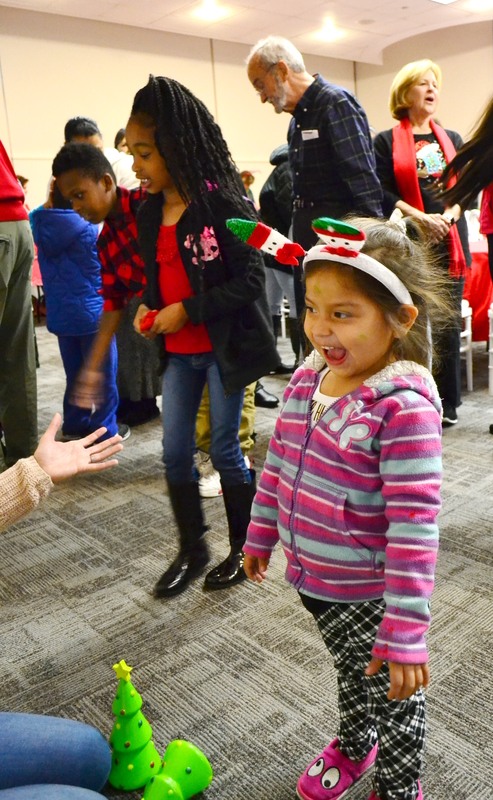 The real excitement came on Wednesday, December 6th as Assistance League of Houston members, Texas Children’s Hospital social workers, and the patients and families gathered in the Feigin Center where they found a wonderland of games to play, prizes to win, delicious food to eat. And Of course, no holiday party would be complete without those yummy Christmas Cookies. The children ran from game to game, taking time out to pose for a photo with their family and Santa Claus that they got to take home with them to remember the day. 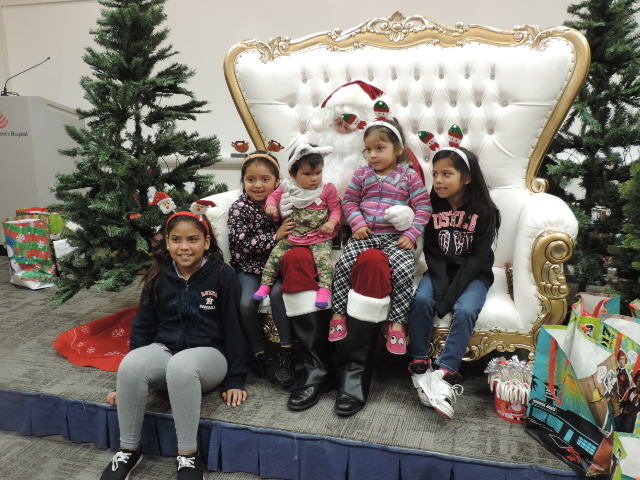 The parents got the opportunity to relax, share their stories with Assistance League of Houston members and other families, as they enjoyed watching their children just being children. 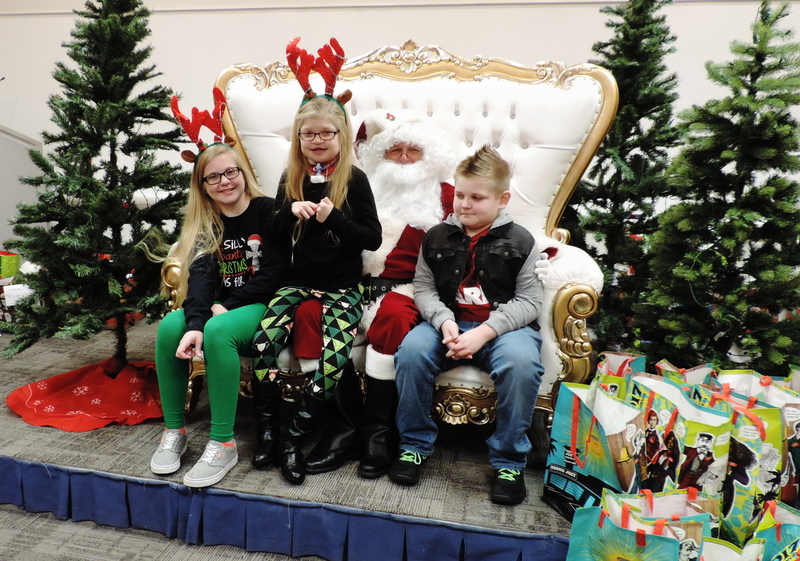 The financial and medical worries disappeared for a while, aided by the holiday atmosphere and the Target gift cards each family received. 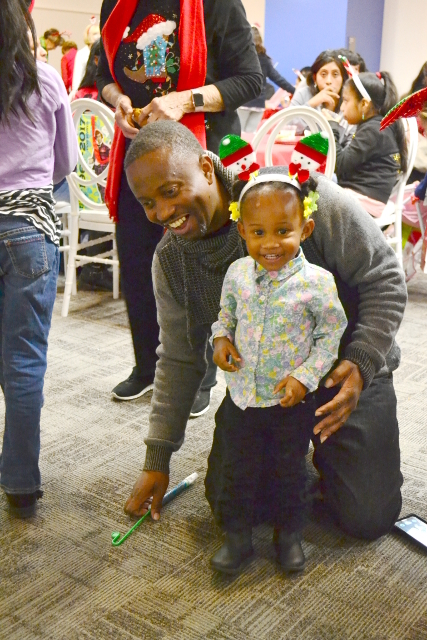 We appreciate all our corporate and private donors who gave to this event in order to bring some holiday cheer into the lives of these children. 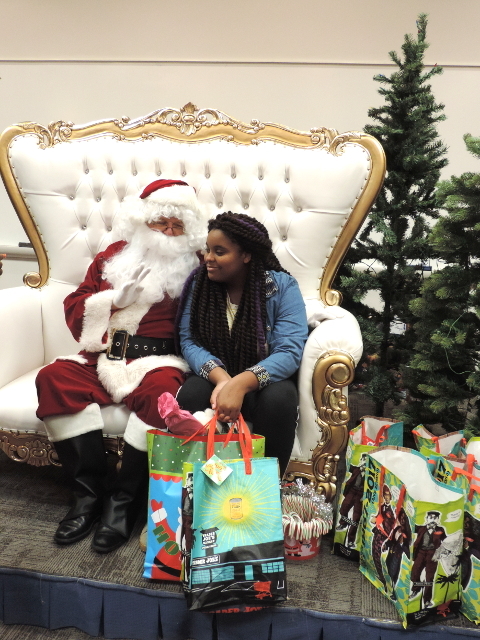 Especially, Home Depot who donated the pre-lit Christmas Trees, Trader Joe’s who donated gifts to the mothers attending, and Elegant Chairs and More who donated the chairs, tables, linens and the beautiful throne, Santa was sitting on. We would also like to thank Denali Foundation for donating non-toxic art boxes for the patients and their siblings! We cannot thank you enough for your generosity. Thank you to our co-chairmen Carol Hemphill and Louise Nuttall and their committee of wonderful volunteers who worked so hard to make this day special for the families in attendance. Finally, we have to thank the children and their families for reminding us that life can be fragile, but joy can be found and love can be celebrated in any circumstance. A Special Thank You to our Corporate Donors! Celebration of Giving, an Inspirational Success! We truly have a MAGICAL Santa. 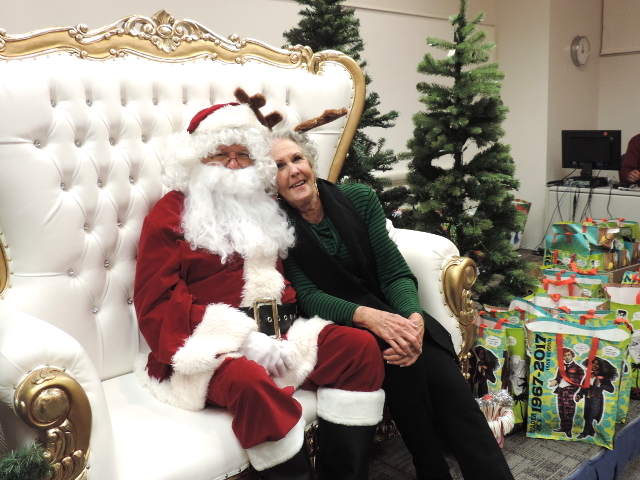 Bob Warnsman, a PALs Member, played Santa and brought joy to all, from children, parents, social workers to members. The children were excited as they heard him come in jingling the Christmas bells. Bob/Santa patiently sat and listened to every wish and took every picture even though he was in a very warm Santa suit and had no breaks. 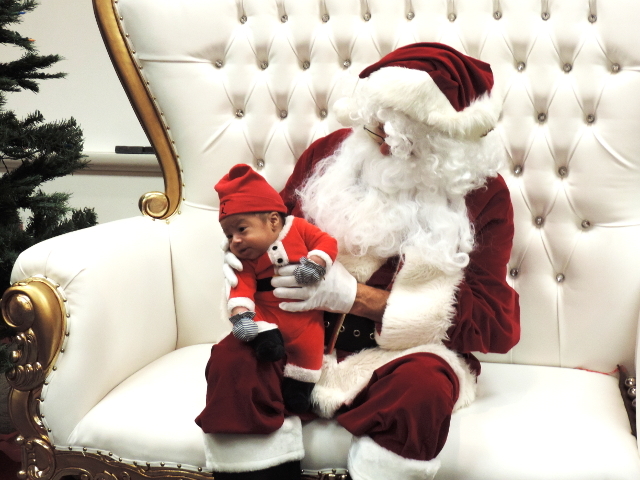 His Santa duties did not end when he left the building, because as he was walking back to his vehicle, he was stopped by many to take a picture or speak to a child which he did with grace. However, he went above and beyond when he encountered a child being unloaded from an ambulance. He greeted the child and even rode all the way up with the child to the treatment room in the hospital. I believe we would have all wanted to see the smile on that child’s face. 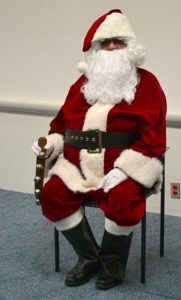 Thank you Bob/Santa for all the MAGIC you gave us during this event. 2018 Celebration of Giving is underway!